Stay in touch with the corporate office … with weekly webinars. 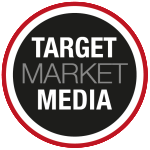 Target Market Media Publications begins each publisher’s relationship with the company with a four-day training webinar. 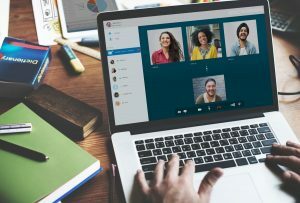 Understanding that the business model cannot be digested and implemented in such a short time frame, Target Market Media implemented weekly webinars and conference calls with the group of publishers. There are several meetings hosted throughout the week and publishers (especially new recruits) are encouraged to attend and actively participate to keep up-to-date with new policies, marketing ideas and sales techniques. On Monday and Friday, Ken Minniti will host a conference call or webinar to review sales techniques, TMM’s products and services and policies and procedures. These calls are designed to help new publishers as they begin to launch and grow their magazine. These calls will review the basics that are covered in the training sessions in greater detail. All publishers are invited to attend. On Wednesdays, Ken Minniti will host a Q&A session with all the publishers. Publishers (old and new) are encouraged to come forward with questions, problems, objections, ideas, etc. and discuss in an open format with the group. Mr. Minniti and the other publishers (who are out in the field and may have experienced the same obstacles), will present solutions, ideas and different points of view. Target Market Media looks at the publisher group as a team that should share knowledge and ideas to help make each publisher a success. Bi-weekly, Ken Minniti will host a conference call or webinar with established publishers who have been with the company for some time and proven their success in publishing. These group will meet to review new concepts or marketing ideas to brainstorm and problem solve before they are launched out to the group at large. As these publishers have been with the company for some time, they are able to look at these ideas from a different standpoint than newer publishers. To keep new ideas flowing, Ken Minniti will some times invite guest speakers to host the conference calls or webinars. This can vary from internal staff to established publishers and sometimes outside guests who have knowledge to share of value with our publisher group. No matter who is hosting the call, Target Market Media encourages an open discussion in every call and values publishers who step forward to share their opinions and thoughts to turn the “lecture” into a “discussion” that benefits all attendees. To learn more about this business opportunity and your ongoing relationship with Target Market Media, contact our market development team or complete our contact form.